Soil type, texture, structure, pH, nutrients and organisms are often bounded about in the gardening matrix but what do they all mean and why are they important? In this comprehensive article, we try to explain each of these one at a time without dumbing it down; and with the ultimate aim of producing the go-to article for improving crop yields and plant health. As the article is very long our findings and recommendations are summarised in the conclusion, but I’m sure the reader will be interested in the full explanations in the body of the text. Plants require three main nutrients: nitrogen (N), phosphorus (P) and potassium (K) that are collectively known as NPK. Deficiencies in such elements will significantly reduce plant growth. Also important to plants are calcium (Ca), magnesium (Mg) and sulfur (S). These are collectively known as macronutrients and make up 3.5% of dry plant weight. Plants need a number of elements in minute quantities known as trace elements or micronutrients. They make up 0.04% of dry plant weight and include chlorine (Cl), iron (Fe), manganese (Mn), zinc (Zn), boron (B), copper (Cu) and molybdenum (Mo), although nickel (Ni), silicon (Si) and cobalt (Co) are sometimes included. A plant will continue to grow until restricted by the supply of an essential nutrient. A deficiency of any nutrient cannot be corrected by the addition of other nutrients. Thus plant growth is limited by the nutrient in the shortest supply. This is known as the “Law of the Minimum”. The first limiting nutrient and most important is nitrogen. In general, plants absorb essential nutrients in soluble, inorganic forms, although some metals can be absorbed as organic complexes. In order for nutrients to be absorbed they must come into contact with the root’s surface, which occurs through three main mechanisms: root interception, mass flow and diffusion. Root interception occurs when roots grow through the soil and incidentally come into contact with nutrients. It makes up a small portion of total nutrient uptake. Mass flow occurs when dissolved nutrients move with water and come into contact with root surfaces where they are absorbed. It makes up a dominant portion of total nutrient uptake and often results in excess nutrient uptake. As mass flow depends on flows of water, dry conditions and lower temperatures reduce nutrient uptake. It is through this mechanism that plants absorb most of their nitrogen. Most of a plant’s potassium and phosphorus uptake occurs through diffusion, whereby nutrients spread from areas of high concentration to areas of low concentration. As roots absorb nutrients from a soil solution the concentration of nutrients surrounding the root drops. A result of this is nutrients in areas of higher concentration migrating towards the root. Nutrients in the soil go through a continuous process of cycling that involves gains, losses and transformations in pools in the soil. With nitrogen, for example, seven forms are involved in the N cycle that each exist in different pools. These pools can be highly soluble or insoluble and strongly bound. 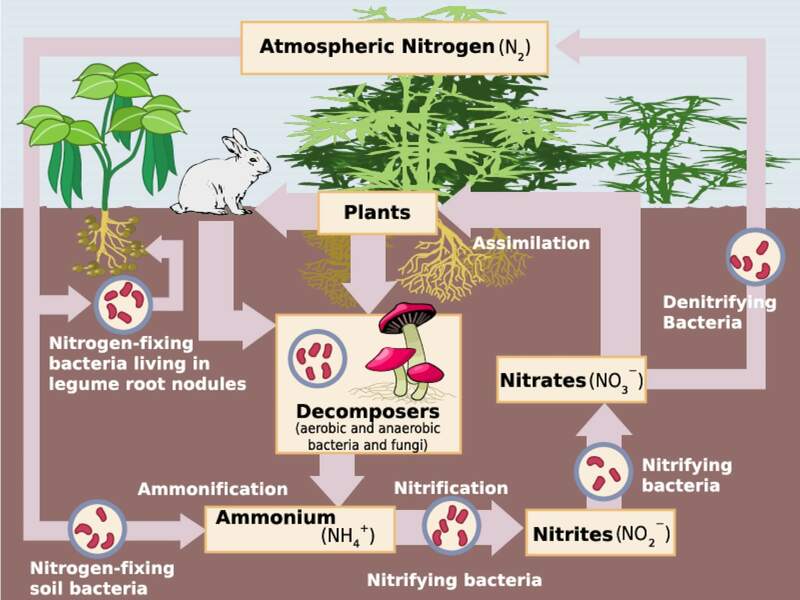 A simplified version of the nitrogen cycle. In fact, the nitrogen cycle is a bit of a misnomer as it is really a maze. Plants can only directly utilise two soluble forms of nitrogen (NH4+ and NO3-) and depend on microorganisms to transform plant matter into such forms. This process is known as mineralisation and is dependent on the carbon-to-nitrogen ratio of the plant residues. When microorganisms break down organic matter, they utilise some of the resultant nutrients (such as carbon and nitrogen) for sustenance and growth but leave excess nutrients available for uptake by other organisms. Other microorganisms can easily access the excess nutrients, while plants cannot. Thus when there is a deficiency in nitrogen, plants sometimes miss out. Eventually, these microorganisms will die and the immobilised nitrogen will be released back into the soil. But in the short term, nitrogen will be unavailable for uptake by plants, possibly leaving your plants nitrogen deficient. Nitrogen deficiency can be indicated by pale green leaves due to a reduction in chlorophyll – the nitrogen based pigment responsible for photosynthesis. And as nitrogen is an essential component of amino acids – the building blocks for proteins – nitrogen deficiency can also be indicated by stunted growth, particularly with dormant lateral buds. A green bean plant suffering from a deficiency of nitrogen as indicated by the pale green leaves. Picture credit: Rasbak (2009) licensed under CC BY-SA 3.0. Now, it is probable that you wish to correct such a deficiency. As a long term fix, you want to add both compost and organic fertiliser as well as inorganic fertiliser. The latter, already in mineral form, will be immediately available for uptake by plants, and quickly correct the deficiency. The former however will correct the underlying problem by providing adequate feed for the soil’s microorganisms. And as organic fertilisers require organisms to transform the nitrogen into mineral forms, they provide a slow release of nutrients, helping to maintain healthy nitrogen levels. It is important to note that the compost applied must be the correct carbon-to-nitrogen ratio, or microorganisms will continue to immobilise nitrogen at the expense of plants. In general, you want less than 30 parts carbon to 1 part nitrogen (C:N;30:1) to meet the nitrogen needs of decomposing organisms. The carbon to nitrogen ratio of various compost inputs can be found in the table at the bottom of this page. 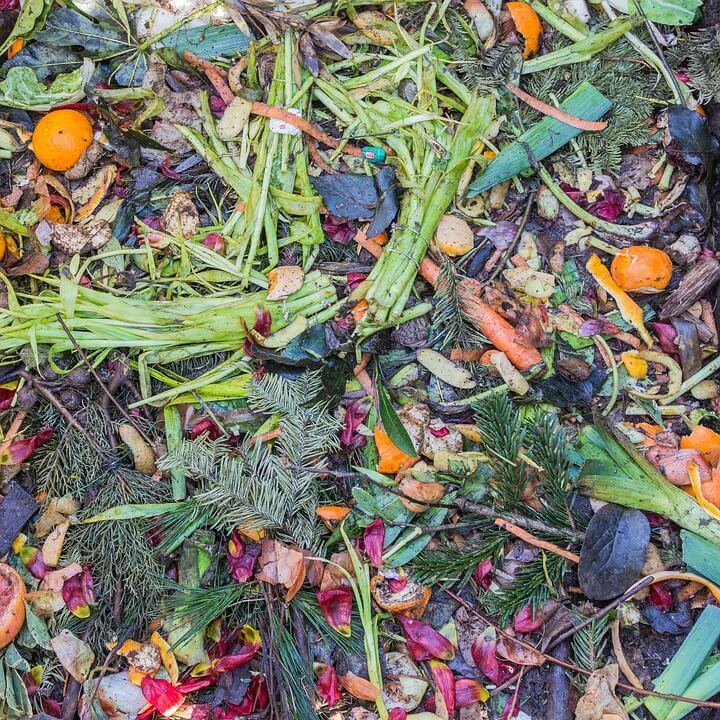 In general, green coloured compost inputs (fresh organic garden waste) are high in nitrogen while brown coloured compost inputs (old rotten leaves) are low in nitrogen. As a rule of thumb, adding 2 parts green to 1 part brown will produce compost with the desired 30:1 carbon to nitrogen ratio. Soil organisms play a key role in the soil by breaking up organic matter into mineral nutrients, available for uptake by plants. Soil organisms are both abundant and highly varied, ranging in size from microscopic bacteria to the 1 meter long giant tunnelling earthworm. Like plants, they require certain conditions to survive and are suited to aerated, moist soil. This explains why 75% are located within the top 5cm of soil. Significant chemical and biological activity takes place in the zone of soil surrounding a plant’s root – an area known as the rhizosphere. It is in this area that plants engage with a host microorganisms, both pathogenic and mutualistic, and act to shape a soil’s characteristics. To do this, plants release exudates – water and compounds such as carbohydrates – that stimulate biological and physical interactions between roots and organisms. Important (and somewhat famous) mutualistic organisms that form symbiotic relationships with plants include that of mycorrhizal fungae and rhizobia bacteria. The former, ubiquitous in the soil, provides nutrients in return for carbohydrates and helps increase the surface area of a plant’s roots, significantly boosting plant growth. The latter fixes nitrogen from the atmosphere in return for carbohydrates and is one of the only environmentally-friendly effective methods of restoring a soil’s nitrogen content. Promoting soil organism abundance is simple as organisms are suited to the same conditions as plants requiring organic matter as a source of food as well as aerated, moist soil. 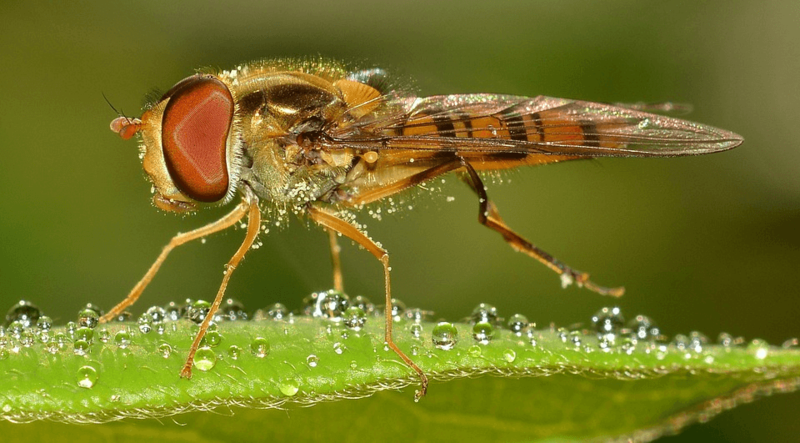 As many form symbiotic relationships with, or prey upon plants, plant life is crucial and will act to promote moisture retention and protect organisms from the sun rays. Use of chemicals will reduce the incidence and diversity of microorganisms in the soil and in some cases may wipe out certain species. Promoting microorganism diversity can help keep plants healthy as soils with high biodiversity can help suppress soil-borne fungal diseases. Organic fertilisers provide a source of nutrients for organisms and allow beneficial microorganisms to carry out their natural function, transforming nutrients into mineral form. Inorganic fertiliser also provides a source of nutrients but should only be used in tandem with an organic fertiliser, which bolsters a soil’s health over the long term. Organism diversity can be promoted through crop rotation or mixed borders as different root types promote different organisms. Some actions can promote microorganisms detrimental to plant growth. For example, compaction of the soil can lead to the emergence of anaerobic bacteria that produces toxic compounds. Excessive use of nitrogen fertilisers can promote fungal with pathogenic traits. Henceforth, excessive use of fertilisers should be avoided. pH is a measure of acidity and alkalinity, ranging from 0 (most acidic) to 14 (most alkaline). A pH of 7 is neutral. Technically speaking, pH is the negative log of hydrogen ion concentration in a water-based solution, hence the equation pH = -log[H+]. It is a logarithmic scale and a whole pH below (6) is ten times more acidic than the higher value (7) and the hydrogen ion concentration increases by ten times. Put simply, a soil with a high concentration of hydrogen ions (H+) is acidic. The pH of soil is important as excessively acidic or alkali soils will result in key nutrients becoming unavailable for uptake by plants. For example, at low pH phosphorus and calcium become less available, while others such as aluminium and manganese become available to such an extent that they are toxic to plants. Different plants are each suited to different pHs, although 5.2 to 8 is acceptable to most. Some plants are sensitive to small changes in the pH, while others can tolerate a wide range of pHs. Soil organisms are also suited to different pHs, but most the activity occurs in the pHs 5 to 7. Changes in the pH will influence the species mix and functions of microbes in the rhizome. Acidification of the soil occurs through various human activities such as the emission of air pollutants (leading to acid rain), use of agricultural fertilisers (usually ammonium-based), harvesting of crops (causing the removal of the slightly alkali plant matter) and mining. When pH levels drop below 4.5, there is a large increase in soluble aluminium, leading to soil toxicity. Acidification leads to leaching of nutrients such as calcium, magnesium and potassium to soil horizons out of the reach of plants, and severely decreases the microorganisms in the soil. Excessively acidic soils’ pHs can be raised through liming; this usually involves dumping large quantities of pulverised limestone (calcium carbonate) on agricultural land. Sometimes the soil is ploughed to increase penetration. As calcium carbonate (CaCO3) dissolves in the soil solution, it reacts with hydrogen (H+) to form carbonic acid (H2CO3) or water (H2O). Thus liming acts to remove hydrogen ions (H+) from the soil, raising the pH. The detrimental effects of acidic soils can be partially alleviated through the creation and introduction of acid tolerant varieties. You can measure a soil’s pH through purchasing a soil pH kit, although a lab test will provide the most accurate measurement. You can also estimate a soil’s pH by analysing the plants that naturally grow in your soil and judging how well certain plants grow. Stunting of a pH sensitive plant may indicate inappropriate pH. The morning glory variety of the Ipomea genus, for example, is very sensitive to changes in pH and is suited to slightly akalki soils. Weeds can be used as a rough estimation of certain pHs with very acidic soil producing sorrel and plantain but no charlock or poppy. Neutral pH soils, on the other hand, tend to promote chickweeds. Soil formation is influenced by five soil forming factors: CLimate, Organisms, Relief, Parent Material and Time (CLORPT), although the key factor is climate. If the temperature is too low, organic material will not decompose. If there is little precipitation or wind, the rate of physical weathering may be insufficient to break up the parent material. Thus, the perfect climate for agriculture is humid and warm as it both supports and decomposes large quantities of organic matter and weathers the parent material. Like plants, insects are also highly sensitive to temperature and are found in an abundance in warm climates. Parent material is important as it affects the rate of weathering and the types of minerals and nutrients in the soil. Rocks are composed of different minerals that each possess different susceptibilities to weathering. For example, granite is primarily composed both of quartz and feldspar. The former mineral is highly resistant to weathering, producing coarse sand particles, while the latter weathers quickly turning into fine clay particles. Limestone on the other hand is composed of calcium carbonate that is highly susceptible to weathering in humid climates. The weathering of the parent material breaks down rock into smaller and smaller pieces, eventually forming sand, silt, and clay particles. While the weathering process produces many different sized particles, soil particles can either be categorised as sand (.05-2mm in diameter), silt (.002-.05 in diameter) or clay (<.002mm in diameter). The size of the particles is important as it affects how quickly water moves through soil. As such, the larger the particle, the quicker it drains water. This explains why sandy soils are known to drain quickly, and clay soils slowly. The above categories – sand, silt and clay – are known as the fine earth fraction, while soil particles greater than 2mm (i.e. partially weathered rocky fragments) are known as the coarse fraction. Such rocky fragments include boulders, stones, gravels and coarse sands. Organisms function to continue the weathering process and add organic material to the soil, improving the soil’s structure further. Soils are improved slowly and pioneering plants prepare the ground for larger organisms. Over time, organisms will radically alter the soil, producing new soil horizons as their roots grow deeper with the soil in the upper horizons ending up highly granular. Organisms (vegetation) can heavily modify a soil’s chemistry. Trees can alter a soil’s pH depending on the amount of calcium found in its leaves. (Remember calcium is used to raise the pH of acidic soils.) Pine trees, for example, create acidic soils that acts to strip soluble nutrients from the soil. Broadleafs, on the other hand, tend to raise a soil’s pH, although there are exceptions in both groups. Relief plays an important role in soil development with soils at the bottom of a slope different from soils at the top and soils upstream different from soils downstream. A soil’s position on a slope affects its development as both runoff and water velocity increases lower down a slope. A possible result of this is high levels of erosion at the base of slope that can strip soil, producing weakly developed soils. A soil’s position on a slope and the direction the slope faces can affect evaporation with soils in direct sunlight for different periods. Relief also helps determine a soil’s texture, but more on this below. Picture credit: Mikenorton (2011) licensed under CC BY-SA 3.0. 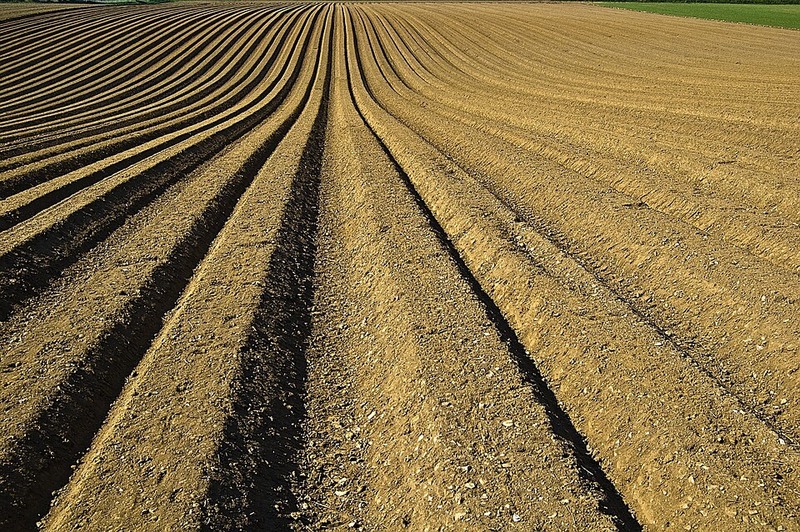 The most arable soils are comprised of 40% sand, 40% silt and 20% clay and are known as loam soils. The soil is fertile, easy to work with and drains well, although will still need mulching as with all soil types. With clay, silt and sand soils as the size of the average soil particle increases, the soil’s nutrients falls but drainage increases. So clay soils are rich in nutrients, but drain poorly, while sand is low in nutrients, but drains well. As clay is so clumpy, the soil will need to be broken up and organic matter added to improve its aeration and drainage. Silt retains moisture, drains well and is fertile, but is vulnerable to compaction and will need mulching to improve its structure. As sandy soils are low in nutrients and do not hold moisture well, extensive use of mulching and application of fertiliser is necessary to improve yields. Chalk soils can be made of many different particles, but are notable for being alkaline and henceforth only suitable for certain plants. Peat, uncommon in gardens, are high in nutrients and moisture, but are often acidic. Relief plays an important role in determining a soil’s texture. As a river empties from a mountain stream and enters its middle course its velocity decreases and particles drop out of suspension, the largest first. Thus coarser soils are found near the base of the mountain and the fine textured soils further downstream. The knead method: take a small handful of soil and break up the aggregates, removing large particles such as gravel or leaves. Then add water a drop at a time and mould a 4cm ball in your hands. Stop adding water when the ball starts to stick to your hands and knead for another 30 seconds. Now press the ball between your fingers. It will either feel gritty, silky or sticky and the textures indicate sand, silt and clay respectively. Soil is formed when weathered rock mixes with decomposed organic matter, known as humus. Tiny particles of sand and silt are bound together by clay and humus, forming peds (aggregates). Peds have distinct boundaries and well-defined planes of weakness and can range in size from 1-300mm. Soils can contain multiple types of peds. The smallest peds are in the soil horizons (layers) near the surface and size of peds increases with depth. The different types (blocky, columnar, granular, lenticular, platy and prismatic) are formed by different forces, although the only type you need to know is granular. Granular peds are usually less than 0.5cm in diameter and are commonly found in the uppermost soil horizons where plants’ roots have been growing; they function as an indicator of good soil structure. Some soils are apedal and either have no peds or are not composed significantly of peds. Apedal soils can be divided into single grain and massive soils. Single grain soils have no adhesives to bind the grains together and do not aggregate into peds. Such soils are usually very sandy soils. Massive soils are a coherent, solid mass that do not separate into peds and are usually clay. Both soils are unsuitable for plants as with single grain soil the permeability is rapid, and with massive soils the permeability slow. Soil structure refers to how these peds fit together. Good soil structure will have adequate pores (spaces), allowing for water and air to enter the soil and to drain easily and hold enough moisture for plant growth. Poor soil structure will have few, large aggregates and few pores that will both retard root growth and restrict access to air and water, which is essential for plant growth. The structure of a soil can be graded by how distinct and stable the peds are. The different grades being structureless, weak, moderate and strong. At the lower end with structureless there is either no observable aggregation (single grain soils) or no orderly arrangement of natural lines of weakness (massive soils). And at strong, peds are distinct in undisturbed soil, and remain durable when disturbed. Soil structure can be measured by calculating three metrics: bulk density (mass per unit bulk volume of soil dried to a constant weight at 105oC), particle density (mass per unit of volume of soil particles) and soil porosity (percentage of soil that is pore space or voids). Bulk density is easy to calculate and can be used as a measure of compaction. In general, bulk densities range from 0.5 (organic soils) to 1.8g/cm3 (compacted clay soils). Bulk densities beyond 1.8g/cm3 are highly detrimental to plant growth. Particle density is relatively constant, ranging between 2.55 to 2.7g/cm3 and is often assumed as 2.65g/cm3. The average soil has about 50% porosity and sand has larger pores than clay, but clay has more pore space. A worked example calculating the bulk density, particle density and porosity of a cube of soil. Soil permeability is slightly different than porosity as it is the ease that air, water, or plant roots penetrate and pass through soil. Soils with large, connected pores, such as sandy soils, are more permeable than soils with small pores, such as clays, even though clays have greater total porosity. Soil strength is the amount of force required to rearrange soil particles and affected by three factors: moisture content, soil texture and bulk density. Moisture content is the most important factor as dry soils are extremely difficult to work with; henceforth the drier the soil, the greater the soil strength. Soil texture is important as the strength of aggregated soils increases as clay content increases. Poorly aggregated or single grain soils (sandy soils) have the weakest soil strength. And finally, as when bulk density increases, the amount of pore space decreases, soil strength increases with bulk density. Aggregate stability refers to the ability of soil aggregates to resist disintegration by disruptive forces whether from human activities (tilling) or weathering (precipitation and wind). Unsurprisingly, poorly aggregated soils have low aggregate stability and are vulnerable to disintegration in rainstorms. Once dispersed soil particles fill surface crusts, producing a layer of hard physical crust once dried. This layer can prevent the emergence of seedlings and reduces infiltration, leading to increased runoff and water erosion. A soil’s aggregate stability can be worsened by human activity. Chiefly this occurs when soils are left bare without living plant organisms that improve structure and protect from weathering. Also detrimental, is the removal of decomposing organic matter, which function to aggregate soil particles into larger aggregates. Aggregate stability can be improved through increasing a soil’s organic matter content, which furthers biological activity, both microorganisms and plant life. Plants require three main nutrients: nitrogen, phosphorus and potassium, along with many others in smaller quantities. These nutrients are important as plant growth is limited by the nutrient in the shortest supply. This is known as the law of the minimum. Plants can only absorb nutrients in inorganic forms and are dependent on microorganisms to break down organic matter into inorganic mineral forms, a process known as mineralisation. As plants are poor at absorbing nutrients they are sometimes crowded out by other organisms, leaving them nutrient deficient. Nutrient deficiencies can be corrected by both inorganic and organic fertilisers. Inorganic fertilisers will quickly correct the deficiency as they are in soluble forms, immediately available for uptake by plants. Organic fertilisers, on the other hand, will first need microorganism to break down the nutrients into mineral form. This results in a slow release of nutrients and as such it can be stated that both types of fertiliser complement each other. Organic fertilisers have an additional advantage: the potential to solve the underlying problem behind a soil’s dearth of nitrogen – a lack of food for soil organisms, providing it is of the correct carbon-to-nitrogen ratio. Soil organisms are both ubiquitous and highly varied. They play a key role by converting organic matter into mineral nutrients, available for uptake by plants. Many form relationships with plants, which can be mutualistic or pathogenic. Such mutualistic organisms include mycorrihizal fungae and rhizobia bacteria. The former acts to increase a plant’s root area increasing the uptake of nutrients while the former fixes nitrogen from the atmosphere, restoring a soil’s nitrogen content. Soils organism abundance can be promoted through reducing the use of chemicals and inorganic fertilisers, preventing compaction, and maintaining moisture and plant covering. Thus it can be said that organisms thrive in the same conditions as plants. pH affects the uptake of nutrients by plants. For example, excessive acidity can render nutrients unavailable, while excessive alkalinity can increase nutrient availability as so it is toxic. Different species of soil organisms and plants are suited to different pHs although most activity occurs between 5.2 and 8 for plants and 5 and 7 for soil organisms. PH can be estimated by the plants that naturally take up root and how well certain plants grow. It can be measured through a soil pH kit. Acidic soils’ pH can be raised through liming – the addition of calcium carbonate to soil. There are five soil forming factors: CLimate, Organisms, Relief, Parent Material and Time (CLORPT), although climate is the most important. Inadequate temperatures or precipitation may be insufficient to weather rock and be unable to support plant life. Organisms function to continue the weathering process, breaking up the parent material (rock) to form horizons (layers) with the upper horizons ending up highly granular. Weathered rock is eventually transformed into small particles of sand, silt and clay, which are part of the fine earth fraction. Sand, silt and clay are categories of particle size measured in diameter with sand the largest, clay the smallest and silt in between. Different compositions of particles produce different soil types such as loam, clay, silt and sand, each with different properties. As particle size increases drainage increases and thus sandy soils drain quickly and clay slowly. Conversely, as particle size increases a soil’s nutrient capacity falls and henceforth clay soils are nutrient rich. Of the four main soil types listed above, each will need mulching, but sand, silt and clay may need extra work. Clay will need to be broken up as it is clumpy, while sand will need fertiliser to improve its nutrient capacity. With silt it is important to avoid compaction. Other soil types not related to particle size include peat and chalk, the former alkaline and the latter acidic, but high in nutrients. A soil’s texture can be gauged through two methods: the knead method and jar method, which are described in detail above. Soil is composed of weathered rock and decomposed organic matter. Most soils are composed of aggregates known as peds – these soils are known as structured soils. Peds are formed when clay and humus (organic matter) bound particles of sand and silt together. Granular, stable peds function as an indicator of good soil structure as they create adequate pore space for air and water to flow through the soil, while draining easily and holding enough moisture for plant growth. Soils without peds are known as structureless soils. They come in two types: single grain and massive. The former is usually sand and possesses no adhesive to bind the particles together while the latter, usually clay, form a coherent solid mass. Soil structure can be measured by calculating bulk density, particle density, and soil porosity. Other component factors of soil structure include soil permeability, soil strength and aggregate stability. Like soil organisms, soil structure is benefited by maintaining plant life and adding organic matter to the soil, which helps support the development of stable, granular peds. For healthy soil, plant life should be maintained to promote microorganism abundance. Plants do this by shielding microorganisms from the sun’s rays as well as providing a host. Plant life also acts to break up large aggregates, creating small, stable peds. Mulching and the application of organic fertilisers are both recommended as to provide nutrients for both microorganisms and plants. Mulching also protects microorganisms from the sun’s rays and should cover the ground where they is no plant life. Compaction should be avoided at all costs as it acts to reduce flows of air and water through the soil. Likewise, bare soil should be avoided as it leaves soil vulnerable to heat and extreme weather events that can dry out or sweep away layers of soil respectively. I would like to add a comment about soilless compost. The EU says we must reduce Peat content and it has fallen to 0% in some composts. I sieve my soilless compost for seed sowing and those composts which say still contain peat which is valuable for water absorption contain it in the hard pellets I sieve out These are probably of minimal use in water absorption so peat content is effectively nil. I can still buy packs of pure Peat and I mix it with my composts to stop the pots or seed trays drying out so fast and add soluble or slow release fertiliser to compensate. Previously I have added Perlite or Vermiculite for water holding enhancement but this has increased in cost dramatically and peat is a cheaper and more natural alternative. Soilless composts are changing content almost every year. The Greens say peat contains locked up Carbon dioxide CO2 which is released on decomposition which is bad for climate change but the composted vegetable alternatives in peatless composts also release CO2 so probably no net gain. I conclude the Peat discussion with the observation that in Ireland there are two Peat burning power stations and in Russia far more.